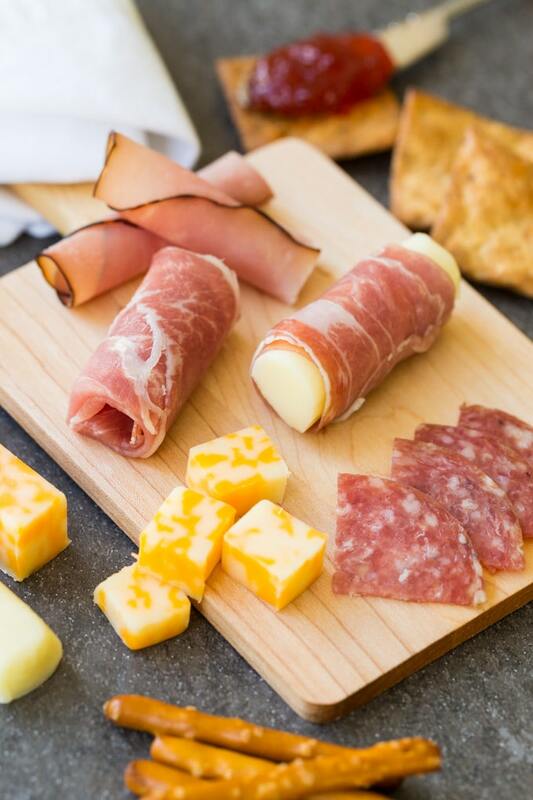 Pack a charcuterie board in a lunchbox with these kid-friendly options. 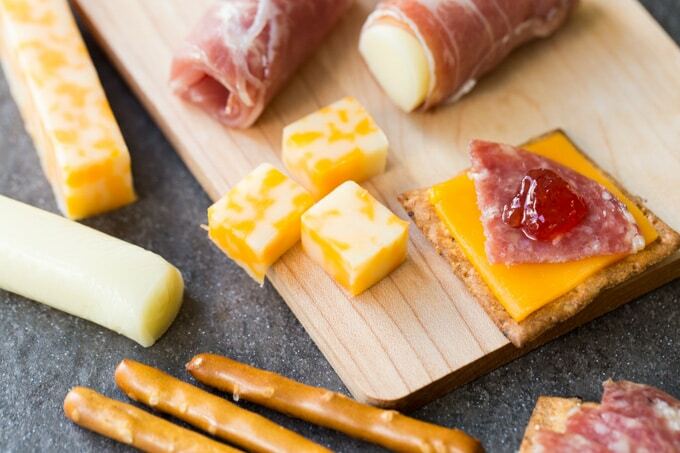 Pair meats, cheeses, spreads, and crackers for your little one to enjoy. Let’s get one thing straight before we get started. How to pronounce charcuterie: shar-COO-ter-ee. I’ll admit; before I looked it up, I wasn’t quite sure. But now I know—the emphasis is on the “coo” sound. You learn something new every day. Charcuterie boards are all the rage. They’re appearing on trendy restaurant menus across the country. They’re French. They look cool. They sound cool. Despite this (or perhaps because of it), many people are intimidated by what is essentially a cold meat plate. Now that you know how to pronounce it, let’s define it. Charcuterie is the branch of French cooking that deals with smoked, cured, and cooked meats. Examples include ham, bacon, sausage, and meat spreads such as pate. 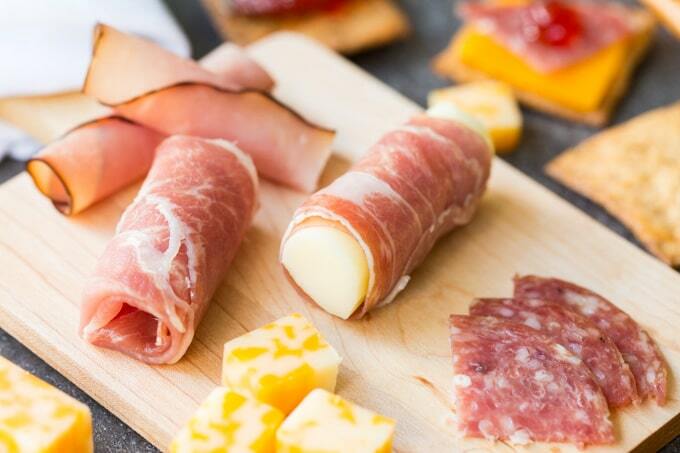 A charcuterie board traditionally includes charcuterie meats plus complementary accompaniments such as bread, crackers, chutney or fruit spread, and cheese. There’s no hard and fast rule regarding what to include or exclude, although it’s ideal that all the elements of the board are well-balanced in terms of flavor; no single ingredient should overwhelm any of the others. I’m a firm believer that high-quality food is just as suitable for children as it is for adults. Children may have more selective palates, but there’s no reason they can’t enjoy the good stuff along with the grown-ups. It’s this philosophy that inspired me to make a kid-friendly charcuterie board that can easily be packed up in a lunch box. 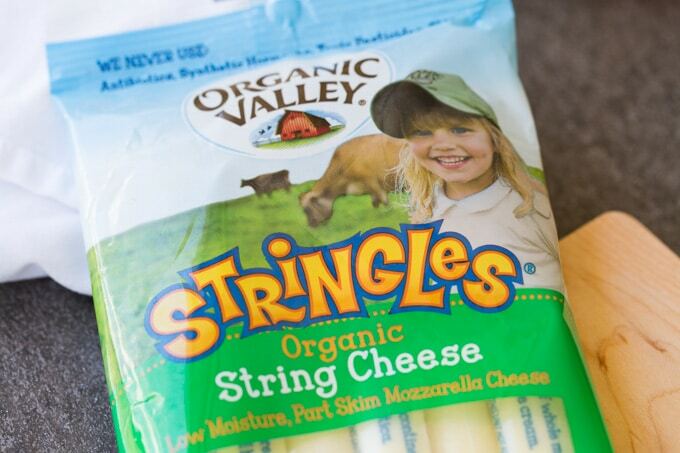 One of my favorite brands, Organic Valley, has excellent cheese options that are very kid-friendly. I picked up Organic Valley American Singles, Mozzarella Stringles, and Colby Jack Stringles at Publix to add to this charcuterie lunch box. All Organic Valley cheeses are certified organic and never use antibiotics, synthetic hormones, toxic pesticides or GMOs. Most of the cheeses are also vegetarian friendly. 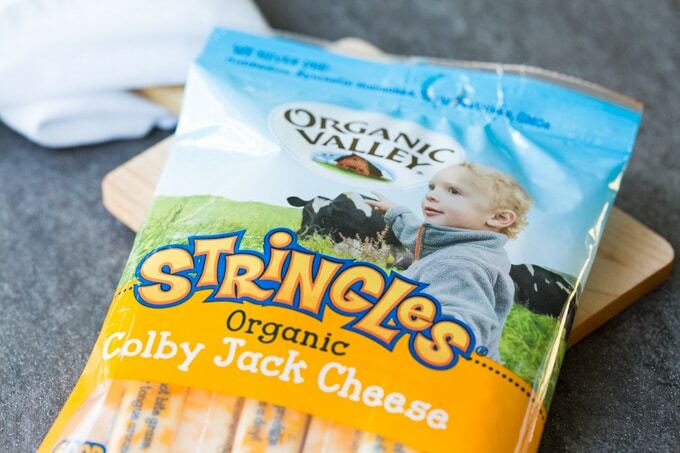 On your next trip to Publix, you can save $1.25 off any Organic Valley cheese with this coupon offer. 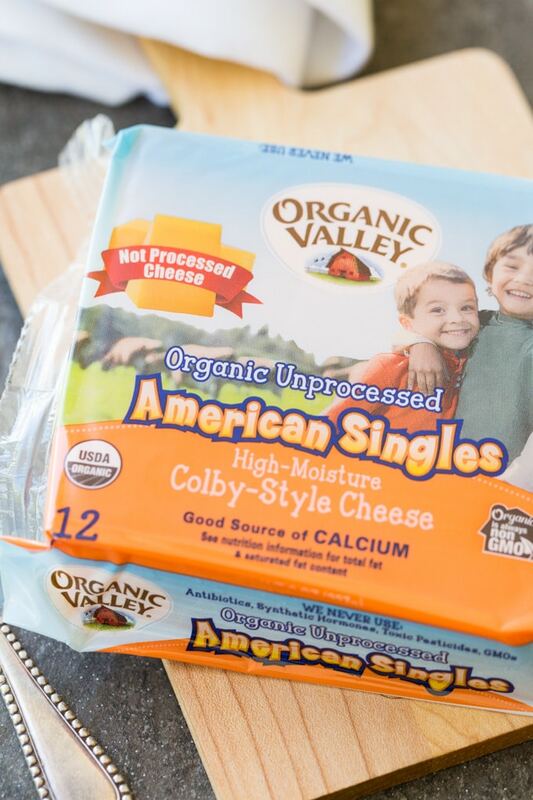 The American Singles are natural American cheese, not processed cheese. I like to know that I’m packing better-for-you organic ingredients in my kids’ lunches. These organic cheese selections will complement the rest of your charcuterie board ingredients. For the meats, I suggest pairing a slightly sweet meat, like a sweet ham, with a salty meat, like prosciutto or pepperoni. Get a few ounces sliced fresh from the butcher shop and try a few combinations for yourself. 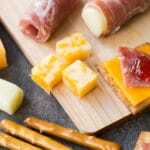 You can wrap a piece of meat around a cheese stick for a fun and easy-to-nibble presentation. For the fruity spread, there are many options. You can go with a safe bet, like strawberry preserves, or try a more savory fruit chutney. Or you can include both and let your kids try them out. You may be surprised to find that they like new flavors as much as familiar flavors. There are lots of options for bread. A little crunch is ideal as a textural contrast to the creamy cheese and soft meat. 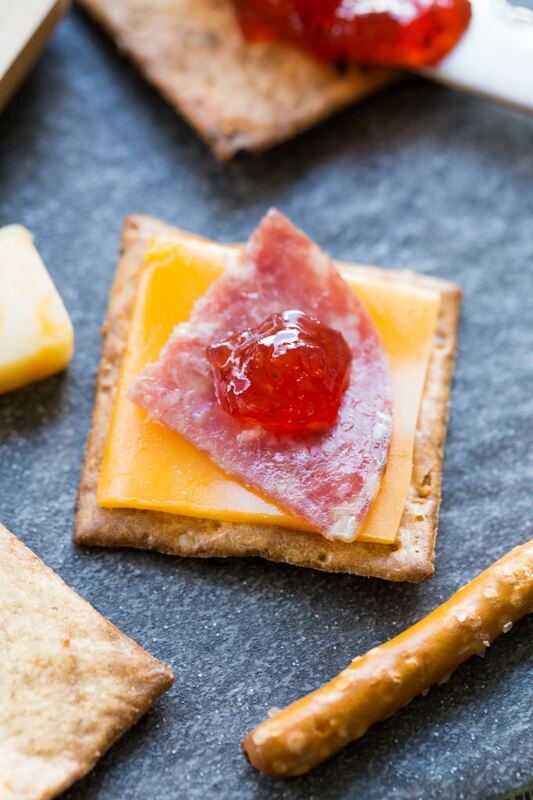 Stack a piece of cheese, a piece of meat, and a dab of fruit on a cracker. Building a bite is almost as fun as eating it! Once you have all your ingredients, it’s simple to pack them in a lunch box. A lunch box with little compartments makes the food as appealing to the eye as it will be to the palate. I measure my ingredients so that there’s a balance between flavors and so that there’s enough meat to go with the cheese, enough spread to accent the crackers, and so on. Pack a charcuterie plate in a lunch box with these kid-friendly options. Pair meats, cheeses, spreads, and crackers for your little one to enjoy. In separate containers or a lunchbox with compartments, pack up the meats in one compartment, the cheese in another, and then the preserves and the crackers each in their own compartment. Refrigerate or use cold packs to keep cool. 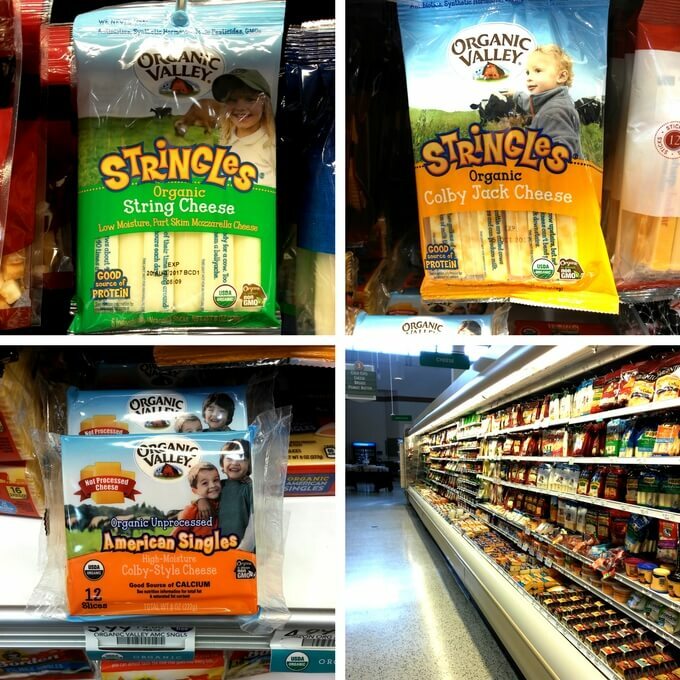 You can find Organic Valley cheese in the cheese aisle at Publix. 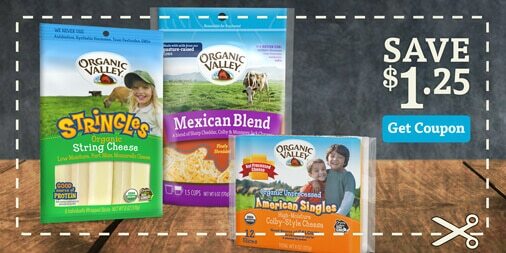 Grab this coupon to save $1.25 off any Organic Valley cheese. I never thought of making a charcuterie board for kids! I think mine would enjoy this.